I had the pleasure of participating at the UNGA Preparatory Process Global Compact for Migration at the United Nations Office in Geneva and the Aid & Trade Conference in London last week. In Geneva we met with H.E. Mr. Juan José Gómez Camacho, Permanent Representative of Mexico to the United Nations and H.E. Mr. Jürg Lauber, Permanent Representative of Switzerland to the United Nations. In London we met with H.E Elhadj As Sy, Secretary General of the International Federation of Red Cross and Red Crescent Societies (IFRC) and HRH Princess Lamia Bint Majid Al Saud, Secretary General and member of the Board of Trustees at Alwaleed Philanthropies. The meetings dealt with migration and optimizing humanitarian response to crises. 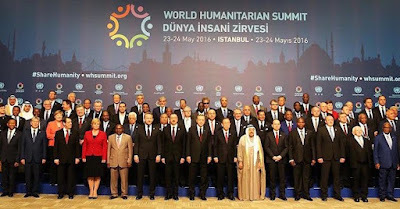 The events served as follow ups to the United Nations World Humanitarian Summit 28. Jun attended last year in Istanbul which was convened by UN Secretary-General Ban Ki-moon. 28. Jun was the only organization from the Western Balkans invited to the event which was attended by 55 Heads of State and Government. After the events, we debriefed H.E. Petar Vico, Serbian Ambassador to the Netherlands in The Hague on their experience at the conferences. I'm honored to be featured on the Everipedia 30 Under 30 list for 2017. Everipedia is a crowd-sourced online encyclopedia co-founded by Mahbod Moghadam, known for founding Genius (previously called Rap Genius) which is now valued close to $1 billion. 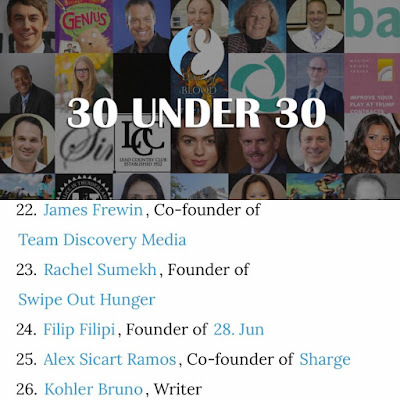 With such curators, I was thrilled to be included on this list of young entrepreneurs "massively disrupting the entrepreneurship world". I know Mahbod from my rap days and if he's involved you know it's a serious project. It's also cool to be the only charity founder on the list and it was nice to see 28. Jun get some recognition. We've come a long way from generating most of our funds from members and inconsistent events. A majority of our donations now come from online as we control the largest Serbian email database in the world along with one of largest social media platforms. I credit much of the optimization and streamlining of the organization to my stint working under Bruce Cran, CEO at Direct Focus Online in Vancouver. I had the honor of presenting Jelena and Novak Djokovic with 28. Jun's 5th anniversary award at the Djokovic Foundation's Giorgio Armani hosted gala in Milan last week. It recognized Novak's support our maiden humanitarian project 'Boj za Kosovo' in 2011. 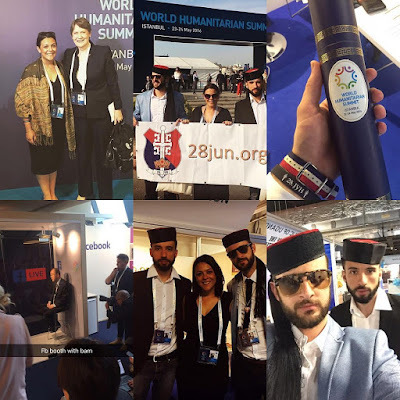 The project turned out to be a huge success and $1.5 mil of humanitarian aid was delivered to Serbs in Kosovo, launching our then newborn movement onto the humanitarian scene. It was an honor to be invited to such an event to celebrate the work of our colleagues in our fight to make Serbia a better place for future generations. We are celebrating our 5th anniversary this month and this is the first of five such awards which will recognize significant contributors to the success of our organization. On May 23-24, the humanitarian organization I founded, 28. Jun, presented at the UN’s first ever World Humanitarian Summit in Istanbul. I felt extremely lucky that we secured 3 spots to what was essentially the 'Oscars' or "Superbowl' of humanitarian work. Only 2000 guests were personally invited by Stephen O’Brien, the United Nations’ Under-Secretary-General for Humanitarian Affairs, and they included UN Secretary General Ban Ki-moon, Angela Merkel, the presidents, ministers and ambassadors of over 150 countries and the leaders of every large humanitarian organization in the world. Only one article, about what was the pinnacle of achievement in the 5 year history of our organization, came out in the Serbian media and it was entitled 'Canadian Rapper Represents Serbia'. It completely disregarded the 500 other members in 28. Jun and instead focused on a song I recorded with Ana Ivanovic in my early 20s and my brief stint in music in my late teens. The fact that 28. Jun has been my full time obsession for the past 5 years and we have become the largest Serbian organization in the world, that has delivered $4.6 mil worth of humanitarian aid, was left unmentioned. At the summit, we spoke at two special sessions which dealt with the migrant crisis and connecting businesses with humanitarian work. We also met with Ban Ki-moon and Helen Clark, Administrator of the United Nations Development Programme and former Prime Minister of New Zealand. I also attended a private screening of Sean Penn‘s new humanitarian-themed movie 'The Last Face' where I thanked him for not politicizing the conflict in the film like Angelina Jolie did in her anti-Serbian propaganda piece 'The Land of Blood and Honey'. The lack of recognition by the Serbian media and the lack of cooperation from the Serbian government is not an innocent blunder. 28. Jun is a humanitarian organization but we also lead the battle against anti-Serbian defamation in the media. As recently as last week, we forced the leading German dictionary to redefine 'Ustase', in late 2015 we successfully completed the digital #NoKosovoUnesco campaign, in 2014 we spearheaded the global effort to secure and deliver flood relief to Serbia and our work goes back to 2011 when we made sponsors drop American talk show host Chelsea Lately over her xenophobic comments against Serbs. The aforementioned work, and hundreds of other projects we executed since 2011, go far beyond the humanitarian and volunteer spheres and enter into what should be the (paid) work of the Serbian Foreign Ministry, the Office of Cooperation with the Diaspora (formerly also a ministry) and the Serbian diplomatic corps. I strongly suggest the administrative bodies within Serbia, look at other nations and follow their example of building fruitful relationships with their respective Diasporas. This is fundamental in our case, as Serbs living outside Serbia, now outnumber those in the motherland and contribute nearly a quarter of the GDP.